Please give a big welcome to ANNE EVANS to my blog. rem: Welcome to my blog, Anne. Let’s start by telling us three things about yourself. Anne Evans: I hold a master’s in counseling and am working on my license. I’m the mom of a rambunctious, adorable little 3-year-old. rem: You’ve got your hands full – with just the three year old!! What is your most treasured possession? Anne Evans: My house probably. We bought a foreclosure and I painted every single room in that house as well as spackling and caulking molding, and sewing window fixtures. rem: As an Interior Designer, I share your enthusiasm! What is your greatest fear? Anne Evans: What people will say about me i.e. peer pressure. I’m working on having thicker skin. rem: I think that’s the artist part of you – seems to be not so uncommon for us artsy peeps. What is your favorite quotation and why? Anne Evans: Well it changes all the time. But right now it’s this quote from Danny Gokey’s song “More Than You Think I Am” which is a praise song written from the point of view of God talking to us. I love the song because it talks about how God is so much greater and loves us so much more than we could ever imagine. rem: What a great reminder that He is always with us! What do you most value in a friend? rem: Without loyalty, what is there? What quality do you most admire in a woman? Anne Evans: Strength mixed with kindness. Sorry to cheat and pick two, but I really think they go together. rem: You’re allowed to pick two – it’s what’s important that is, well, important. What do you do as a hobby? Anne Evans: Well, considering how much money I haven’t made writing I could call writing a hobby. J I also love to work out, swim, walk, and garden. As my husband can attest, the minute the sun starts shining, I’m outdoors. rem: See? Now this is why we’ve hit it off so well you and I! minus the working out part….. Dogs or Cats? Which do you prefer? Anne Evans: Can I just say that rabbits are way better than either? J I grew up with a mini-lop rabbit whose name is in far too many of my internet passwords for me to reveal it here. rem: Sure, you can say it… LOL My kids had some wonderful story books about a lop eared rabbit. We loved those books! If you could choose to be a character in a book, who would it be and why? Anne Evans: When I was younger, I would have selected someone who had thrilling adventures in the Middle Ages or the Wild West. But after a few too many exhausting adventures as a military spouse, I have learned to value my creature comforts. So I think I’d be boring and select someone from the 21st century who has a nice mansion and electricity. rem: Electricity does come in handy. Also running water. And I’d be happy to design a nice mansion for you!! wink wink Where do you get your greatest ideas for writing? Anne Evans: From reading. You can’t write without reading. I also get ideas from movies and real life escapades. rem: Silly question really, ideas are everywhere are they not? What is your Writing Routine? Anne Evans: Help my three-year-old down the playground slide while dreaming wistfully of those days a few months ago when “Joe-Joe” used to take two-hour naps. But seriously, I really need to get back to a good writing routine. rem: There’s routing and then there are priorities – I like your priorities. What are your Top Writing Tips? Anne Evans: Fill the blank paper with words. You can always edit later. rem: Good words. Tell us about your current project. Anne Evans: I have a lot of non-fiction partial proposals out to publishers right now, so if I get a contract, I will instantly start writing and editing those. But while I wait, I’ve been playing with the idea of writing a romantic suspense. It would center around an atheist Ivy League graduate student who travels to Saudia Arabia as part of her thesis project in Arabic studies and ends up entangled in Al Qaeda. For the romance part, I’m thinking a Christian Army Ranger stationed in Yemen. Though he could be CIA. I haven’t decided yet. Just definitely not a marine. There are way too many marines in romance novels already. rem: As a writer I’ve come to appreciate more genres and more authors than ever before. Ivy League and Saudia Arabia has quite a ring to it. Tell us a little about your book, What’s a Foster Family? Anne Evans: What’s a Foster Family? is the story of an only child, Alex, whose parents start fostering. 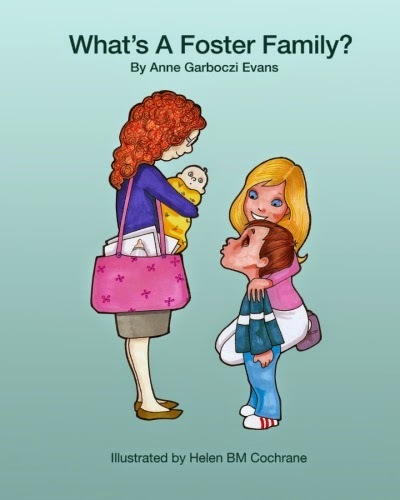 The picture book is written for the 3-7 year old crowd and answers questions bio or adopted children may have if their parents start fostering. My goal with What’s a Foster Family? was to raise awareness for foster families and foster kids. rem: Anne, you have some heavy and intense interests: mental health issues, domestic violence, adoption and foster care. How do you balance everything? Anne Evans: Haha, is “I don’t” an answer? I’ve always had eclectic interests and I just focus on things as they come up. I absolutely cannot do everything at once and still be mom to a 3-year-old, or a sane person for that matter. An acquiring editor of a major publishing house once told me I should focus on a single subject for my blog. After she said that, I tried for about a month. Then I realized it was a hopeless cause and gave up. My favorite part of writing is the excuse to be interested in a ton of different things at once and do lots of research on them. rem: Again with the priorities! Kudos to you! Tell us what piqued your interest in foster care, and your journey with that. Anne Evans: The first time I knew I wanted to be a foster mom was when I was about 10 years old. A new foster mom brought a sibling set of four beautiful little preschool/toddler girls to our homeschool PE class. I spent a lot of time playing with those sweet girls and completely fell in love. Just this month my husband and I got licensed as foster parents in the state of Colorado. So we shall see what adventures God brings our way through that. rem: Congratulations on your licensing! Tell us about Circling Orphans with Love. Her inspiration for Scorched Earth came from moving to the Colorado Rockies. She loves reading Christian fiction and wanted to weave a lighthearted tale about love, rivalry, and the taming of the west. When not writing, you can find Anne reading Dr. Seuss for the 100th time, vainly attempting to potty train Joe-Joe, or working on her fixer-upper house with her husband. I Had a Brain Attack—While the average American knows the symptoms of a heart attack, many don’t know the symptoms of mental health issues. Christians especially are often too quick to write off mental health as a lack of faith or be ashamed of their mental health struggles. As a mental health counselor with a Master’s from Liberty University, Anne shares about mental health in the Bible, modern advances in mental health, and how a Christian woman can bring a Biblical understanding of mental health into her and her family’s lives. Alex’s an only child who’s used to having Mommy and Daddy all to himself. So when his parents start doing foster care and little Malik joins their home, Alex’s not so sure he’s happy about sharing. Spunky and quirky. Both the main character and the writing. 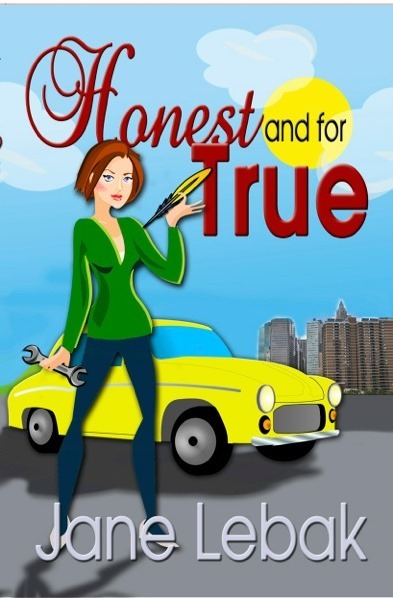 Honest and for True is a lighthearted and fun telling of a not-so-fun story. One this reviewer knows all too well…. As an auto mechanic, Lee is a disappointment to her very feminine and very pink mother. At twenty-nine years of age, she is fast approaching being unmarriable – according to her mother – the absolute and ultimate failure as a woman. But Lee has a problem. She is ashamed to tell anyone her career choice. Lee’s imaginary childhood friend turns out to not be so imaginary. Rather, he is her guardian angel, Bucky, whom she converses with and has the ability to see. He is her constant companion. Can Bucky help Lee unravel the snarl when her lies catch up with her? Can Lee learn who she is without hiding behind the mechanic’s mask? Will a flooding toilet save the day? Ms. Lebak implements her comedic style in this tale that kept me turning pages. I enjoyed riding along with Lee through her antics and calamities. And I especially enjoyed her conversations with Bucky. Note: There is one occurrence of foul language. I started Philangelus Press once I realized I could do just about all the things a major publisher can do, only I can do them to my own personal control-freak specifications. It’s a lot of fun, and I’m having a blast. Plus, I get to talk to my readers every so often, and that’s really amazing. Back in the day, somewhere along about a year ago, one of the first blog posts I read was written by this lovely lady. A trillion blog posts later I can’t remember what the post was about, but Rebecca Waters’ name has stayed with me. Please give a big welcome to REBECCA WATERS. rem: Welcome Rebecca! Tell us three things about yourself. REBECCA: Hmm…I am a mother to three girls, a mother-in-law to their three husbands, and a grandmother to seven incredible grandchildren. rem: Those are some pretty special roles ya got there. Which book have you read the most in your lifetime? rem: Can’t think of a better book to read! What is your most treasured possession? rem: Sometimes the bathrobe wins! Hee hee What is your favorite quotation? rem: I think living our lives – doing unto Him – kind of is paraphrasing. What do you most value in a friend? REBECCA: Being there. I have wonderful friends. During this difficult time of my life, I have so valued the fact they showed up. They didn’t know what to say. Who would? But they held me and continue to do so. rem: Being there is underrated. So many times people think they need “magic” words when sometimes there just are no words. What quality do you most admire in a woman? REBECCA: I would have to say confidence. I appreciate caring people and people who love others, but I admire confidence. rem: Confidence can carry many other attributes. What do you do as a hobby? REBECCA: I like to golf, scrapbook, swim, and travel. And read. rem: I’m with ya on all except golf. Dogs or Cats? Which do you prefer? REBECCA: Dogs. Paws down, Dogs. Who or what has been the greatest love of your life? REBECCA: Easy. Tom Waters. Tom and I met when I was 16, started dating when I was 17 and married when I was 18. Tom died last October, just seven weeks shy of our 43rd anniversary. I adored that man. Still do. rem: Rebecca, I’m so sorry for your loss. I cannot even imagine. REBECCA: Until 2012, I wrote for my own pleasure or published professional articles of research in the field of education. When I decided to retire, I turned my pen to fiction. I drafted a plan and followed it. I pitched my novel at a conference and received a contract two months later. rem: I’ve read Breathing on Her Own and loved it! What is your Writing Routine? REBECCA: My routine has changed in the last six months. I used to write in the evening while Tom watched television. Now I find myself getting more done in the mornings. Turning on the computer and not being distracted by social media are my biggest obstacles. rem: I think social media is everyone’s greatest distraction, regardless of what we are trying to do. What are your Top Writing Tips? REBECCA: 1. Write every day. 2. Embrace editing. Edit your own work and have your work edited by others. 3. Study the craft of writing and publishing. 4. Attend…no, Engage in Writing Conferences. rem: Good points indeed. What do you enjoy most about being a writer? REBECCA: Writing satisfies my creative desires. REBECCA: Marketing your own book. Every author is now expected to engage in multiple aspects of the marketing process. It’s fun, but time consuming. What advice would you give to aspiring authors for writing and/or publishing? REBECCA: Create a plan that includes your goals as well as a roadmap to achieve them. rem: Something akin to write the vision… What is one take-away from your book that you hope readers identify with? 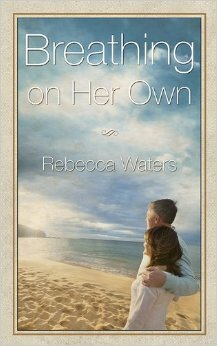 REBECCA: I hope Breathing on Her Own will cause readers to re-examine their own faith walk. rem: It certainly speaks to that. Where do you get your greatest ideas for writing? REBECCA: From real life…though I did not pattern Laney in Breathing on Her Own after any of my daughters. Okay, the good parts of Laney, maybe. rem: If you could choose to be a character in a book, who would it be and why? REBECCA: Heidi. I loved the whole idea of living on the mountain with Grandfather. A simple life. rem: I loved Heidi! Haven’t thought about that lovely story in eons! Tell us a little about your latest book? What is your current project? REBECCA: My current work in progress is best described as Mary Higgins Clark meets the Waltons in Amish country for a little romance! Yeah, it sounds crazy….but fun to write. rem: Sounds like lots of fun! Can’t wait to read it. Recently, you travelled to India. Tell us about that experience. REBECCA: Shortly after Tom died, my youngest daughter told me about a trip to India her church was organizing. The objective was to help with young women who had been rescued from forced prostitution. Some had been kidnapped, coerced, or sold into this form of slavery as children. In fact the average age of girls when they entered the brothels was twelve-years-old, with some of them being only nine. Kendall wanted to go. She asked if I would go with her. It was November. The trip was scheduled for April. It sounded far away. I vaguely remember saying, “Okay.” So this past April, almost six months after losing my husband, I traveled to India with a group of hard-working, dedicated people bent on serving others. I must say the experience was both eye-opening and healing. Healing for the girls? I hope so. Healing for me? Certainly. There is great healing in serving others. But it was also eye-opening. I learned that human trafficking is a world-wide evil. It is as prevalent in the US as it is in India. I’ve put out a call to everyone I know to build awareness and work toward answers. I think as writers, we can use the pen to create this awareness. A few months ago, my Bible reading took me to Jeremiah 18. In the first few verses of the chapter, Jeremiah is told to go to the potter’s house where God will give him a message. Jeremiah goes. He watches the potter craft a pot out of the soft clay. The clay becomes “marred” and the potter reshapes it into a new vessel. Complete. Useful. At first glance, my only thought was that God has a plan for the rest of my life. It made sense to me. I was one person—Tom’s wife. Now I am Tom’s widow. I am in the process of redefining myself. I wasn’t “marred” per se –more like “broken.” I read the verses and experienced the assurance that God will form me into something new. Complete. Useful. Then I went to India. God has a plan for the women I met. He has led them to a safe place. He has restored their soul, their hope, their joy and laughter. He will shape them into new vessels. With His love and protection they will be made whole. They will live a life of purpose. 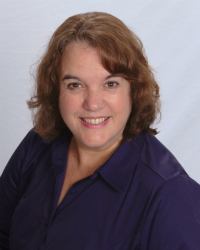 Rebecca Waters draws on her role as a wife, mother, and grandmother as well as her vast experience as an educator and researcher for her writing. Rebecca sees writing as both a gift and a ministry. Although she has published in professional journals in the field of education, Rebecca now turns her pen to the world of fiction. She has published in Chicken Soup for the Soul, The Power of Positive; Chicken Soup for the Soul, Readers’ Choice; The Lookout Magazine (paid registration required); and Home Health Aide Digest. 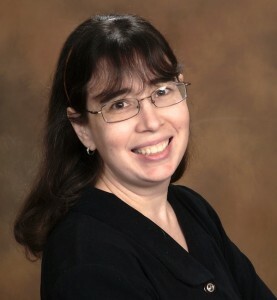 Rebecca is a member of American Christian Fiction Writers. Breathing on Her Own is her debut novel. Buy your print copy here or your Kindle edition here. Read Rebecca’s blog on being an author at RebeccaAWaters.blogspot.com. The Land has its traditions. The way things have been for seven generations, for the good and safety of its people. None have questioned before, none have resisted. None have defied. Bethany Colburn, the youngest of her clan, turns eighteen but is not ready for courtship – per tradition; she is not ready to settle down. After all, she has two examples to follow: her sister Lydia became the first female doctor and had no intention of marrying either, and brother Levi built his own home and chose his own career rather than take up their father’s stead. Evil threatens the town of Good Springs in a different way this time: by corrupting established values. The arrival of a stranger in their midst only serves to whet Bethany’s appetite for adventure, for different. For daring. The fact that he brings an unknown disease to The Land and the two of them are quarantined together established a bond between them. But Bethany doesn’t fully grasp the safety of their traditions, nor does she realize the foreign values of the newcomer. A man thrust from a troubling and turbulent 21st century world to a land steeped in morals and godly values. A man who delights in the company of a young – and naïve – young woman. Will Bethany grasp the danger of this man who disregards the traditions and values of The Land? Or does she fall prey to his dishonorable and base intentions? 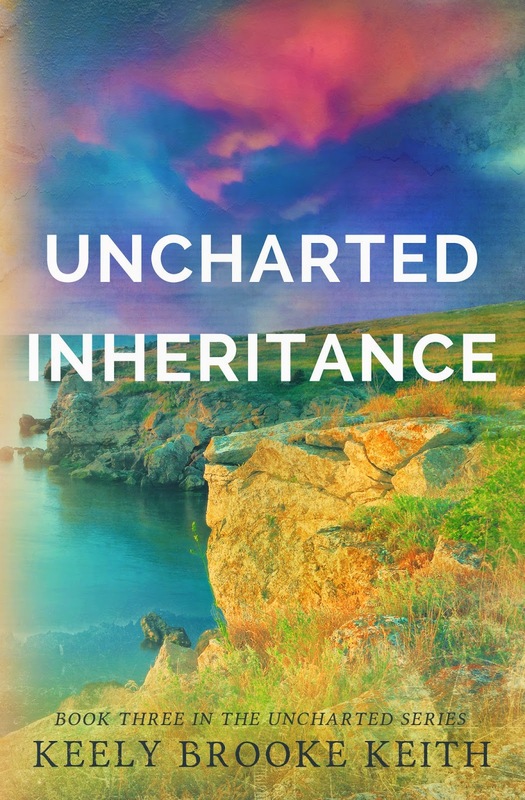 Can she escape the web of conflict and confusion to embrace her inheritance – and the man who loves her. 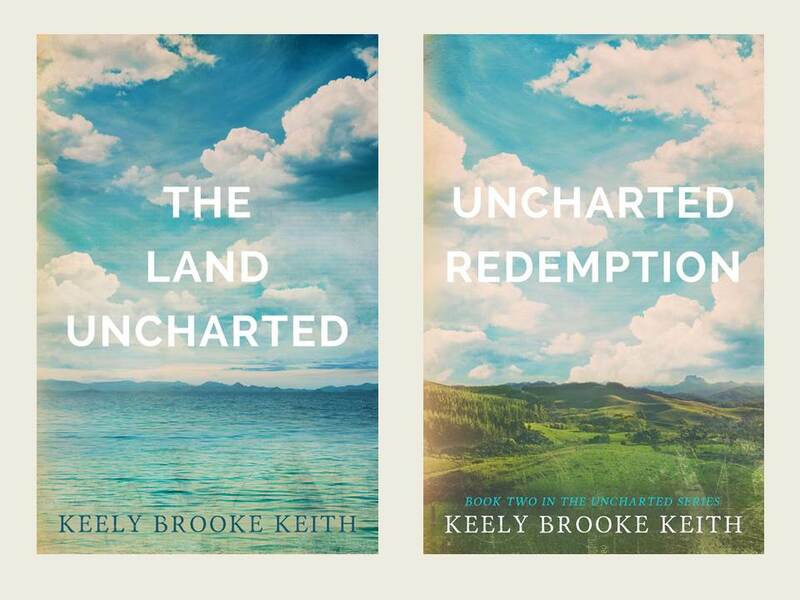 Keely Brooke Keith does not disappoint with the third in this series. A compelling read, with every bit as much intrigue and mystery as the first two books in the series. Will The Land be discovered after all these years? Or does it remain safe from outside influence? Does Bethany give in to her longing for adventure? Or does she respond in kind to Everett Foster’s declaration of love? Please give a big welcome to PEPPER BASHAM to my blog. Most of the time when you pick up a novel you know the characters are going to experience struggles, trials, maybe even tragedy, to get to the happily-ever-after ending. In some stories, you go in knowing the tragedy before you open the book or turn on the movie, especially if the story is based in fact. Seventeen years ago when the movie Titanic came out, every person who attended the movie theater to see the movie knew they were going to watch people board a ship that was going to sink. The less well-known movie, Britannic, gave the same foreboding beginning. So it shouldn’t be a surprise when you pick up a book that features characters boarding the ill-fated Lusitania in 1915, you are about to embark on a journey fraught with tragedy. When I begin writing this novel over 10 years ago, I had no idea I was going to involve a sinking ship. All I knew is that I had a heroine, Ashleigh, with a heartbreaking and tragic secret and I wanted an external ‘symbol’ to show her internal devastation. It isn’t often, thank goodness, that tragedies match so well together in the same way for the same story. I’m pretty sure that in books 2 and 3 of the Penned in Time series, I won’t have any sinking ships or massive tragedies such as the Lusitania, but the heart rending pain my main character experienced as a child and continues to experience into adulthood required a setting in which the reader could visibly compare tragedies. 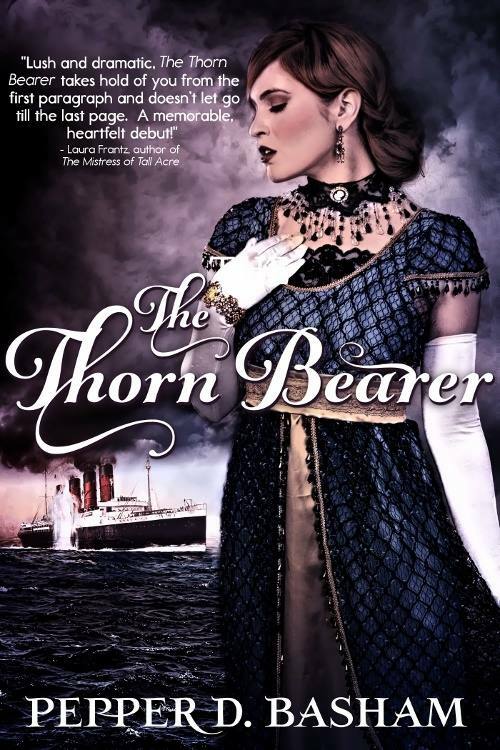 I don’t know about you, but I’d never heard of the Lusitania before I started research for The Thorn Bearer. I’d studied history a little bit up to that point, but kept mostly to the “big events” like the Revolutionary War, the Civil War, and World War II, with a brief mention of the Wright brothers, Amelia Earhart, and, of course, the Titanic. It wasn’t until I visited our yard sale, or what they would call in England a rummage sale, where I found a $.25 book called the Lusitania, that I found the missing link to my novel. I don’t always make such an intense pairing as Ashleigh and the Lusitania, but somehow it worked for this story. What about you? Have you ever ‘discovered’ the perfect fit to you story in an unexpected place? Do you try to make external situations mirror what is happening to your characters at the heart? 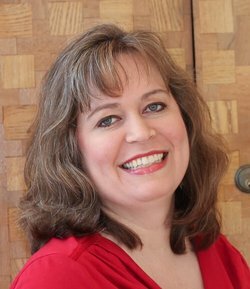 Pepper Basham is an award-winning author who writes romance peppered with grace and humor. 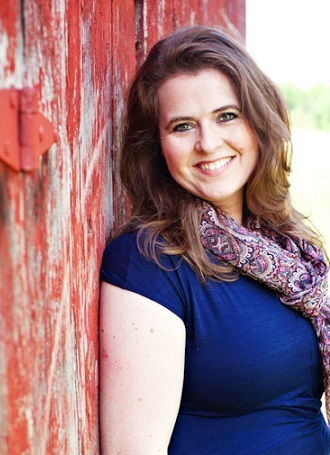 She’s a native of the Blue Ridge Mountains, a mom of five, a speech-language pathologist, and a lover of chocolate. She enjoys sprinkling her native Appalachian culture into her fiction whenever she can. She currently resides in the lovely mountains of Asheville, NC where she works with kids with special needs, searches for unique hats, and plots new ways to annoy her wonderful friends at her writing blog, The Writer’s Alley. 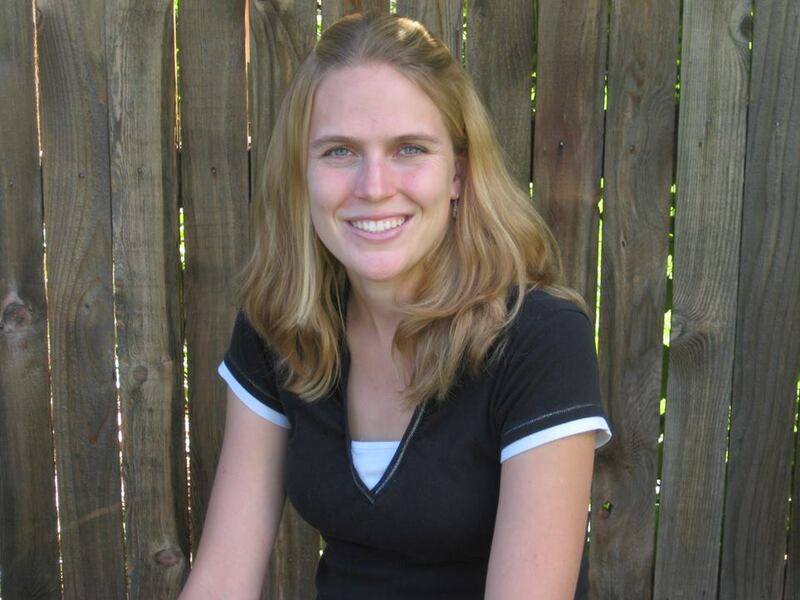 She is represented by Julie Gwinn and her debut novel, The Thorn Bearer, released in April 2015. She was an orphan taken in by neighbors and treated as a servant until her uncle returned and took her in. Now a noble woman, Odette Rutgers teaches orphan children to read. And she feeds them. But the deer she feeds them are deer she has poached from the Margrave’s forest. He was an orphan living on the street until the forester and his wife took him in. Now, Jorgen Hartman has filled the role of forester, is caring for his widowed mother. And searching for the poacher he is sure is killing the Margrave’s deer. And who murdered the man who raised him. Then comes Midsummer festival, and the dance that changes everything. Would their connection be strong enough to overcome all that stands between them? In an era of nobility and commoners, Odette and Jorgen are already mismatched. And yet so perfectly paired. And in the depth of Thornbeck Forest, they are rivals. Her secret puts her at odds with the one man who has captured her heart. His task puts at risk the very life of the woman he loves. Ms. Dickerson pulled me into this story from the first words. I was in the depths of the forest, I felt the anticipation – and the fear. She weaves the heart of her characters right into the fabric of the story, making them alive and believable. The struggle Odette felt to follow her heart, or make a choice that would serve the greater good. The ache of Jorgen’s heart knowing he loved her, and yet could never be her match. I felt the longing whenever they were together, and the angst that they could never be. Unexpected twists in The Huntress of Thornbeck Forest keep the pace moving, keep the reader reading through to the final page. Intrigue, mystery, who is betraying whom? And the Margrave himself, is he the man who murdered his brother? Or was he a victim in the same tragedy? What sentence does he bring to the lovely huntress who has depleted the king’s forest of deer? 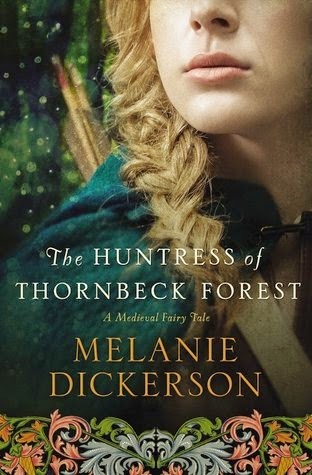 I am completely enthralled with Ms. Dickerson’s writing, so much so that for days after I finished reading The Huntress of Thornbeck Forest, my mind still went back to the pages of this story. I look forward to reading all of her tales. Let the reading begin!